Add a hint of tough-girl edge to your outfits with this bracelet. 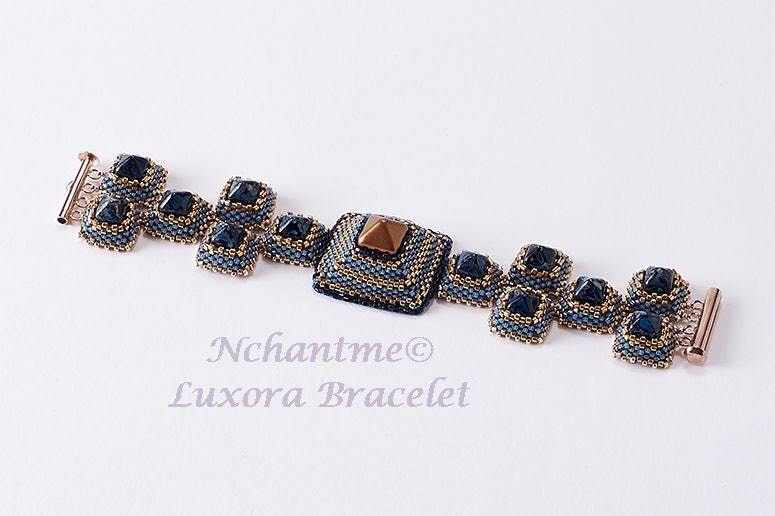 Beaded with Czech studs and seed beads, the sharp geometric shapes blend well with feminine colors. The bracelet drapes beautifully around the wrist and will work well with a leather jacket or a soft silky dress. Makes a great gift for girls of any age! 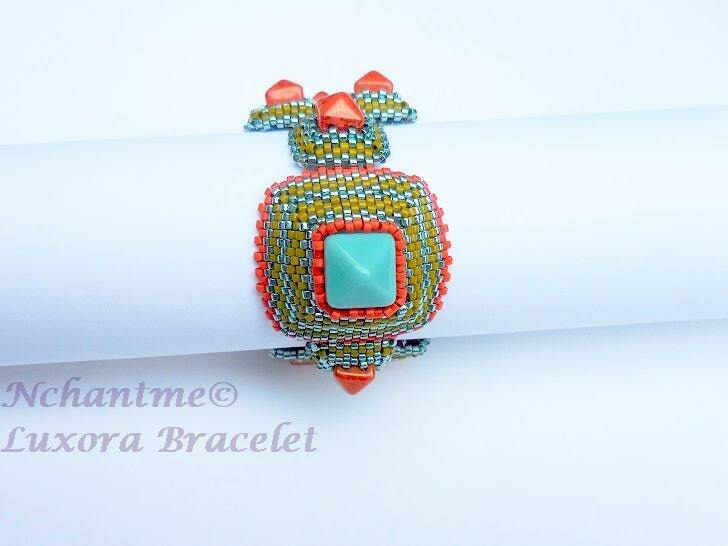 Bracelet measures 7” with clasp. 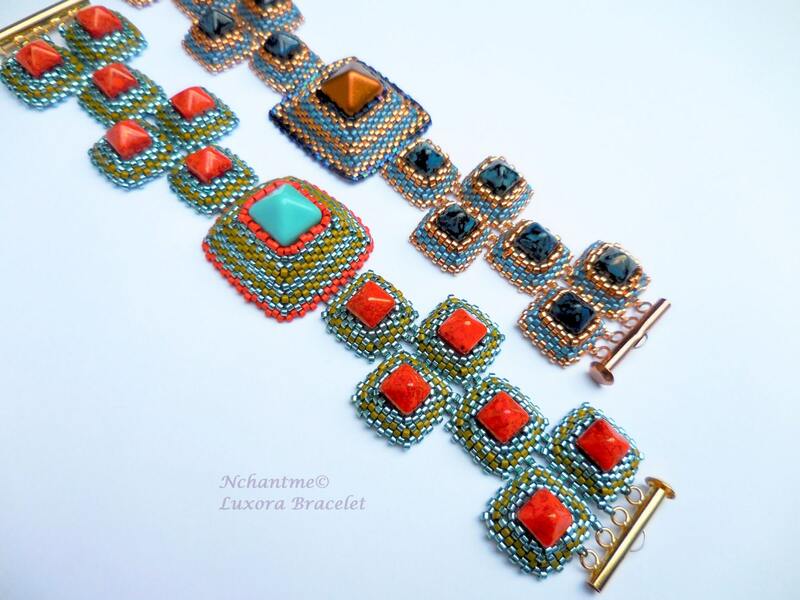 Techniques: Peyote, Ndebele Herringbone and Square stitch. Tutorial has detailed text in English with 47 clear step-by-step illustrations. Please note that to make this project you will need Czech pyramid 2 hole studs in 8x8mm and 12mm size.